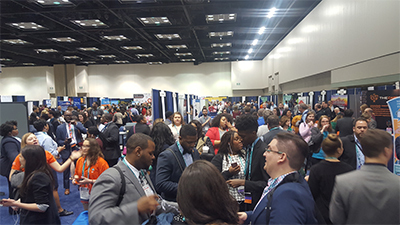 Welcome to the 2019 NASPA Annual Conference Exhibitor Page! NASPA is excited to conclude it's year long end of it's 100th celebration in Los Angeles! 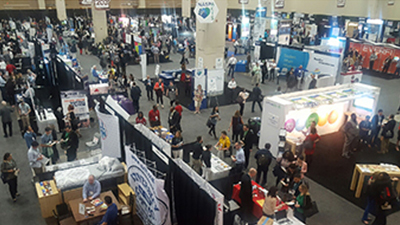 The exhibit hall, a majority of educational program sessions and all featured speakers will be held at the Los Angeles Convention Center. 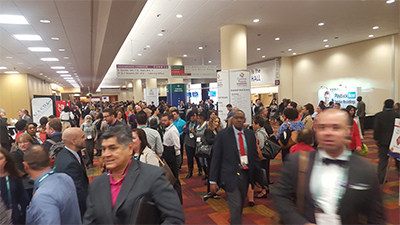 We are expecting over 7,000 plus student affairs professionals from across the nation and other countries to attend. This is an excellent opportunity to meet people within the industry and showcase your organization/company in our exhibit hall. Exhibitor Service Center for immediate access to the latest up-dated information regarding the conference. Booth package includes: one (1) six-foot table, two (2) chairs, one (1) waste basket, identification sign, back drape and side drape. 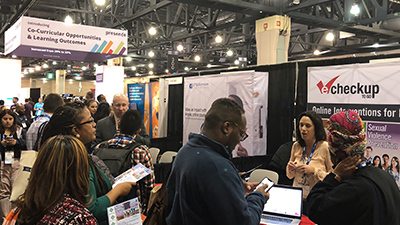 Note: The 2019 exhibit hall booth space is not carpeted. You will need to rent carpet/ bring your own flooring if desired. Wireless internet connectivity at your booth included (ability to check e-mail and light web browsing). Each 10x10 booth purchased includes four (4) exhibitor registrations (for company representatives only). Dedicated breaks held in the exhibit hall. An alphabetical company web site listing. The opportunity to participate in over 40 sponsorship opportunities, gift card raffles, and other marketing strategies. Listing of your company's name, web site and company description in the meetings mobile app. (if purchased before February 15, 2019). An electronic list of registered attendees approximately one month, one week prior to the conference and approx. one month after the conference (excludes phone and e-mail addresses). Note: This list will only include those attendees who have consented to have their information shared with exhibitors or sponsors. *There are no additional fees for corner booths purchased. 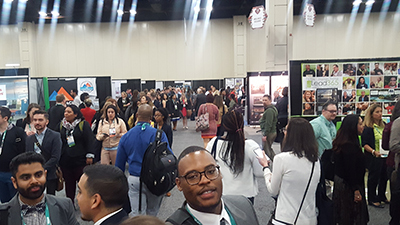 Thank you for your willingness to participate in the 2019 NASPA Annual Conference in Los Angeles, California. For further questions please contact Fred Comparato at fcomparato@naspa.org or at 614-204-5994.